This books has been described as historical fiction, romance, and thriller all rolled into one which is probably the reason "Juliet" felt a bit disjointed. First off, this modern day retelling of Romeo and Juliet is a fun read. It's fast paced and I enjoyed reading about the Medieval, warring families in Siena Italy. It has all the qualities to be truly fantastic. However, it falls flat. The main character, Julie Jacobs(aka Giulietta Tolomei), discovers that her deceased mother left a treasure for her to find in Siena Italy. Julie travels to Italy where clues have been left for her and thus begins her adventure. 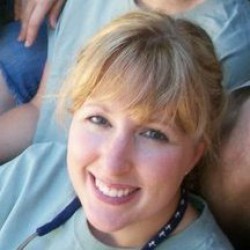 Julie's relationships through this adventure fall a little flat including the romance with her "Romeo." It didn't seem realistic and I felt she fell in love for all the wrong reasons. Additionally, her relationship with her sister,with all the fighting and name calling, make Julie look appear to be 12 versus 25. The relationship building and plot twists just felt a bit forced. Overall, like I mentioned earlier, this is a fun summer read. It's not thought provoking, moving, or amazing. If you are looking for a quick read with a little bit of romance, history, and action rolled into one this could be a good read for you. 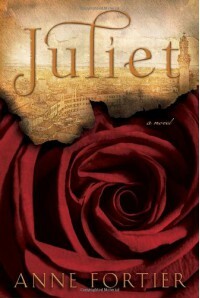 However, if you are looking for something deeper "Juliet" most likely isn't the book for you.